Whether you are thinking of using e-learning for the first time or you already use it, understanding its Return on Investment (ROI) is crucially important for your business. 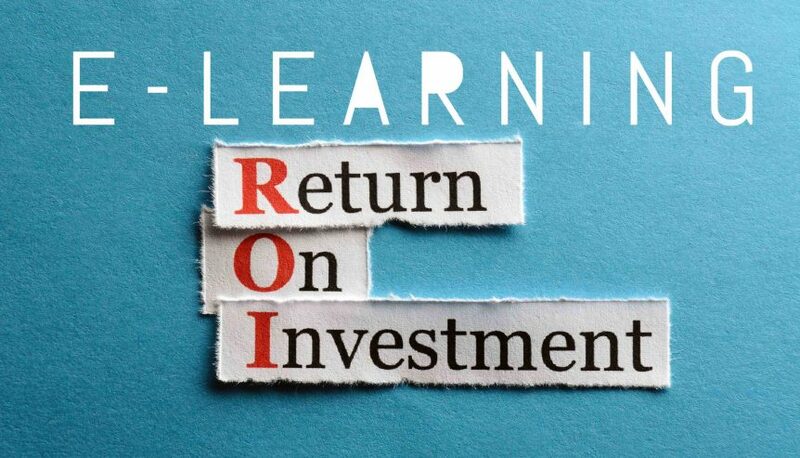 None of these things, however, define the ROI for your organisation. They don’t help you move closer to the answer either. At Capytech, I use the Phillips model to help our clients measure e-learning ROI. The Phillips model is a variation of the Kirkpatrick model – both are respected and tested models for evaluating the ROI of training and learning. One of the benefits of using this model is that it was not designed for evaluating e-learning. Instead, you can use the Phillips model to evaluate all training and learning activities. Going through each of the levels will give you essential data on how successful the learning is as well as the return on your investment. This involves getting immediate feedback from learners by asking them their opinion on the course. As part of the design process, we can tailor the questions we ask learners so they are relevant to your business. The things we seek to find out include whether they liked the course, whether they found it interesting, and whether they found it useful and worthwhile. This is important to the ultimate success of the learning initiative as positive reactions help to improve ROI, i.e. learners who like and engage with a course are more likely to put what they learn into action. This is probably the easiest level to measure. In fact, it is typically part of every course we produce. It involves adding quizzes and tests to the various modules in your course to check and assess the learner’s progress. The scores in those tests are helpful to the learning process, i.e. they will show you and the learner where further improvement is needed. Collective assessment scores can also help you evaluate the overall success of the course. Your involvement is crucial at this stage as this level involves assessing whether learners put into action the things they learn in the e-learning course. This is usually achieved by evaluating the learner’s behaviour. For example, do they use newly learned skills when completing tasks, or do they continue to use old methodologies? This stage looks at how the behavioural changes you identify in the previous stage impact your business. For example, what are the productivity or efficiency gains to the business of an employee using a new skill? In this final stage, you should now put numbers on your evaluation, particularly using the previous stage. This could be, for example, putting a number on the productivity or efficiency gains you identify. When you compare these results to the costs you incur developing the e-learning course, you will know the full ROI. You can then use this knowledge when taking future decisions on learning and training in your organisation.